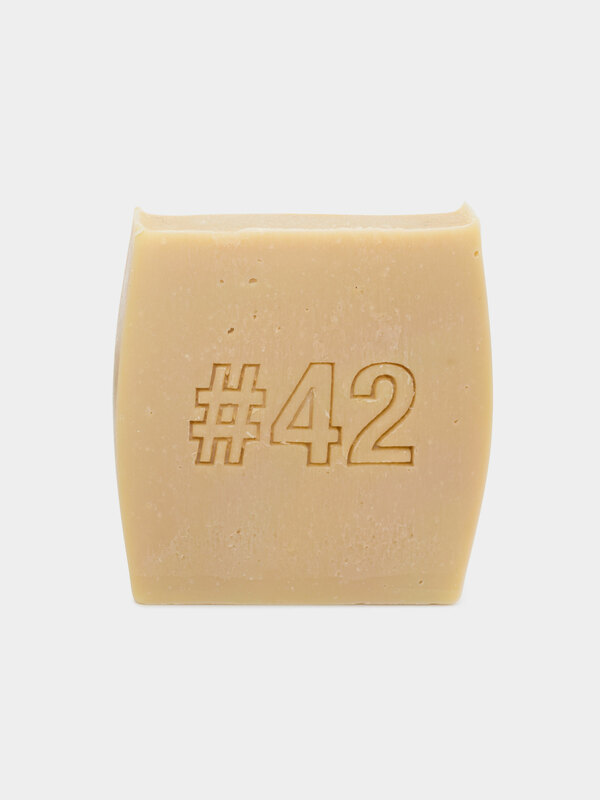 Blending the craft of fine soap making with sophisticated minimalistic aesthetics, #42 offers a contemporary take on traditional soap bar. This handmade cleansing bar made of goat milk and olive oil moisturizes the skin immediately, soothes and softens. Goat milk contains pH nearly identical to the human skin, while on the other hand also contains a number of vitamins that restore and regenerate the damaged skin tissue. Alpha hydroxy acids help remove dead skin cells, smooth the skin and restore its elasticity and shine. All #42 soap bars are made of highest quality ingredients and do not contain irritating artificial colors, preservatives and foams. Gentle enough for all skin types.